Offering a wide selection of duplex and triplex mud pump parts and expendables including pistons, rods, liners, valves, valve seats, and packing. 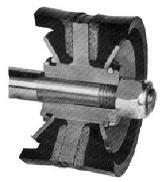 Products are offered in a variety of designs and materials to extend the life in all drilling applications. Parts are supplied for most major pump manufacturers including, Emsco, Gardner-Denver, Ideco, National, Oilwell, OPI, Skytop-Brewtser, Ellis Williams, Wirth, Bethlehem, Gaso, Mattco, Wheatley, and Wilson. Pistons and Rods are manufactured using state-of-the-art machining techniques and quality materials to ensure products are manufactured to close tolerances and quality guidelines. 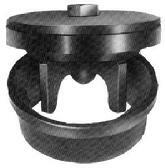 Pistons rubbers are oil, water, and temperature resistant for maximum service life. Elastomeric materials are used in all piston rubbers to prevent deterioration and provide maximum shelf life. Valves and seats are manufactured using premium grade heat treated, forged alloy steel. Each valve and seat is precision engineered and manufactured on computerized equipment then subjected to rigorous quality inspections. Constant inspection during manufacturing processes assures the finest high chrome liner available. Precision-machined alloy steel sleeves are heat treated separately from the liner body to provide maximum corrosion and abrasion resistance. Sleeves are then honed to a mirror like finish to ensure smooth even wear for maximum liner life.